Crikey is that William, nice bald patch!! Oooh is that William and Kate? Great photo to capture that! Yes, they visited Nottingham with the Queen. 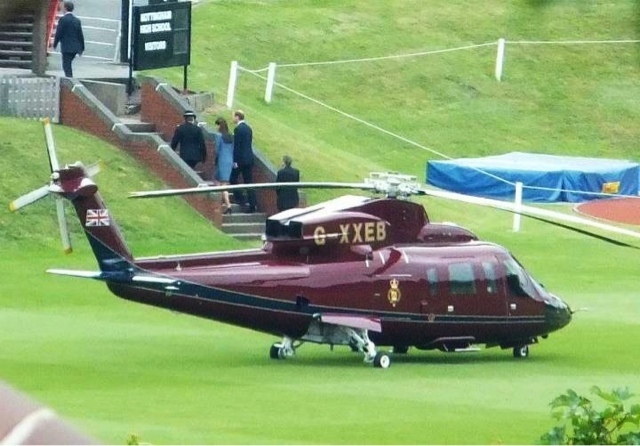 Parked their helicopter on the playing fields across the road from us. Wow what a fabulous view you had! So exciting! Is this the real deal? Nicely captured! Thank you, yes I would like both too! Grrr I was at work whilst this was happening! At least I get to see an array of fab photos! Good catch! Oh my, what a view you had from there! Great photo, have to agree with all the bald comments!